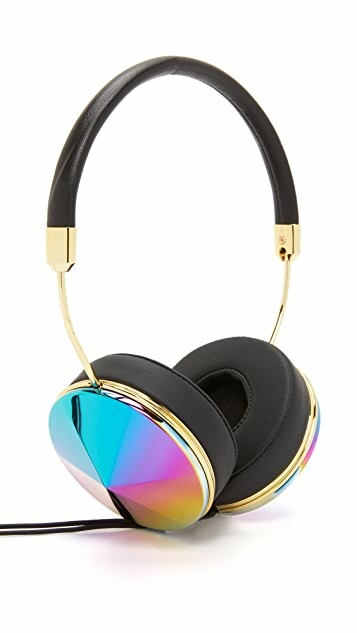 FRENDS headphones with a soft leather headband and gold-tone trim. 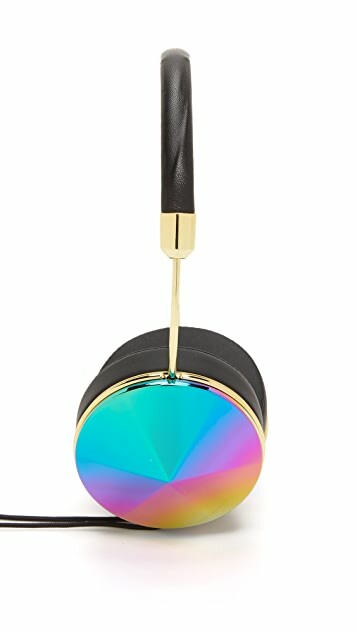 The geometric ear caps feature a shiny, prismatic finish for a stylish look. 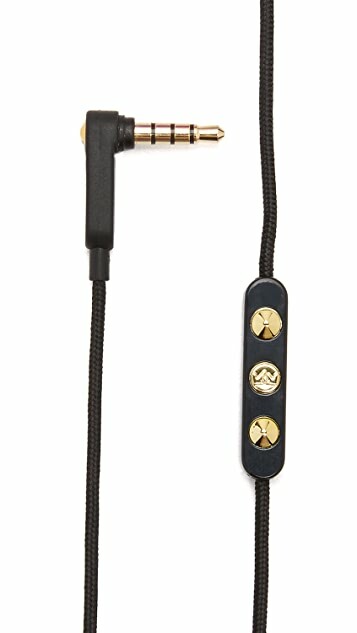 Soft fabric cord with a multifunction remote and microphone. Carrying pouch included. I do not know how I ever lived without these! 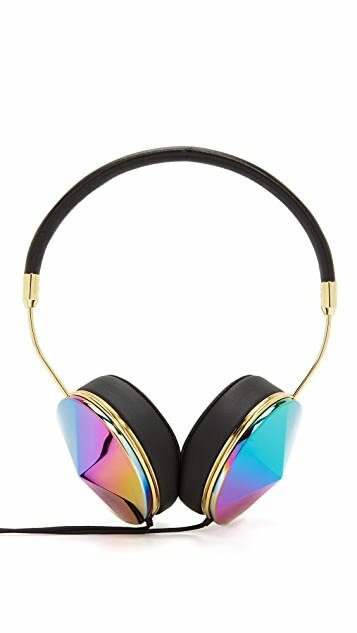 Not only do these headphones look amazing, they sound amazing. I will never leave my house without my Frends.